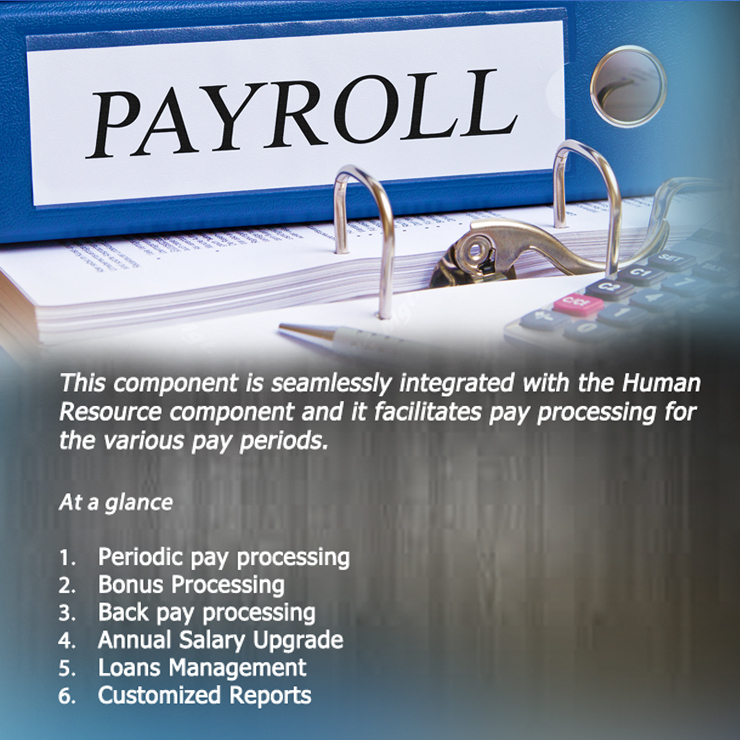 Our HR/ Payroll application provides a comprehensive package for practical human resource and payroll management. All payroll related operations can be easily reversed. Our HR/ Payroll solution performs accurate income tax computations using the tax rules defined by government. New taxes can be defined by the system administrator whenever government changes the rules. 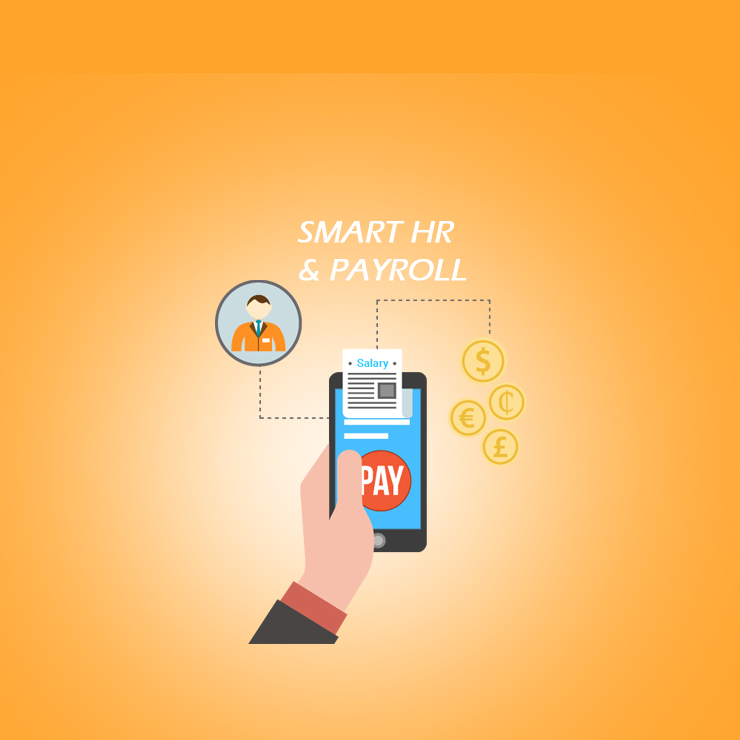 With iHRMS and Payroll/SMART HR Payroll deductions can be defined and tailored to suit group operations as in the case of the benefits. Benefits can be defined as a percentage of the basic or consolidated to the basic salary. 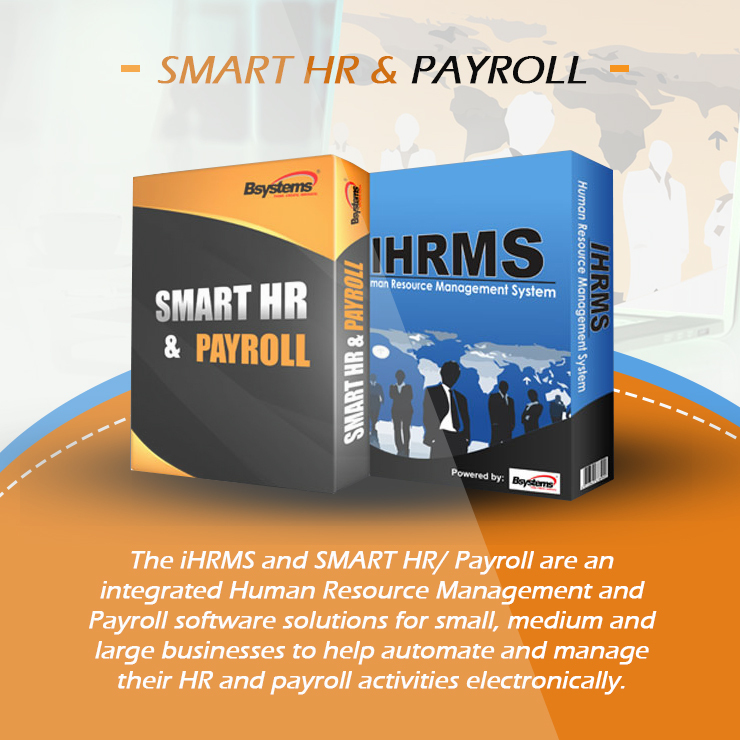 The iHRMS and SMART HR/ Payroll are an integrated Human Resource Management and Payroll software solutions for small, medium and large businesses to help automate and manage their HR and payroll activities electronically. The HR/ Payroll System enhances efficiency in human resource management whiles making payroll processing easier and more reliable. Data relationships are tightly integrated to keep the details of all transactions such that no data is lost. It is very flexible, easy to use and straight to the point.Our solution can be used to host information for multiple companies as in the case of payroll bureau. 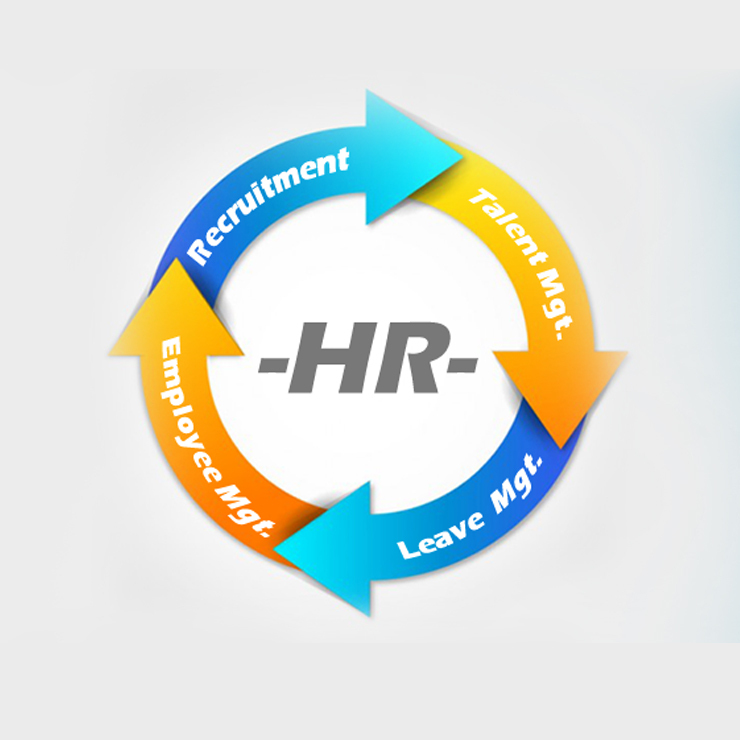 The iHRMS and SMART HR/ Payroll system has the unique functionality and capability include customized system generated reports for effective management decision-making processes. The reports are comprehensive and include net salary by bank, SSF Deductions, Income Tax, payroll summary, Provident fund etc. The security features of the system have been highly implemented to ensure that no unauthorized persons have access to the system. User roles can be modelled to categorize users into various groups to ensure the protection of sensitive data. Employee Fund Management is a great tool for managing employee provident fund internally. It consists of operations such as interest distribution and drawings among fund members and viewing of employee balances. Provident fund deductions can be taken for staffs every month for both employee and employer deductions. There is much flexibility to permit each individual to have a separate percentage deduction. Our The system can perform all statutory deductions including SSNIT employee and employer deductions. The application supports the new three-tier pension scheme. Our Employee Self Service is a web based solution that takes over pressure from the Human Resources department by allowing employees and their line managers to participate in the daily processes of the HR related activities. With the enhanced self-service feature, employees log into the application and perform tasks such as leave application, loan application, view their SSNIT Contributions, pay slip, staff information etc. Who is using our iHRMS and SMART HR/Payroll?